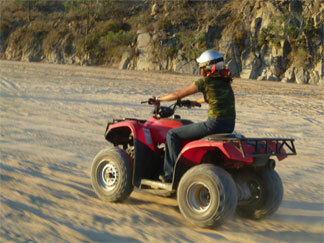 Please send me more information on Amigos Cabos Moto Rent! Round trip transportation, helmet, bandanna and goggles for dust protection, water bottles, automatic & semi-automatic ATV and a bilingual guide. Camera, close toed shoes, jeans, sunscreen and a light sweater or jacket. 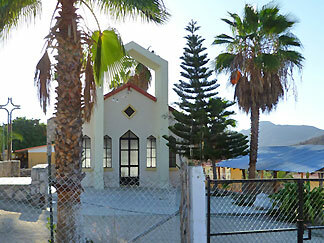 Come discover a hidden paradise in the desert of Baja California Sur surrounded by large natural oasis of palm trees. Candelaria is an ancient town where people still retain their traditional culture. 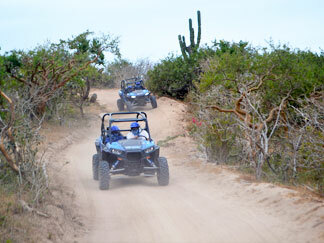 Ride your ATV along the desert trails to experience this unique town. Along the way, you’ll have the opportunity to observe a variety of cacti, trees and animals of the region. During the rainy months, you will also enjoy natural creeks and waterfalls. Finally, enjoy a lunch on the terrace with a panoramic view to the Pacific Ocean. Round trip transportation, helmet, bandanna and goggles for dust protection, water bottles, automatic & semi-automatic ATV and a bilingual guide. Box lunch includes one croissant sandwich, one soda & snacks. Drive your ATV through the magical desert outback of Los Cabos as you follow dusty trails and striking natural landscapes. Enjoy the sights and sounds of the Pacific Ocean followed by an enchanting sunset. This will be an adventure you'll remember for years to come! 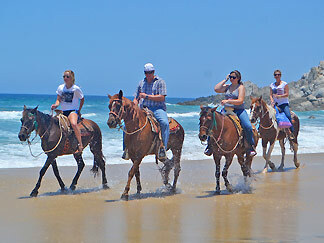 Come and enjoy a wonderful experience of riding a horse on the beach while visiting Los Cabos! Migrino Beach is the ideal place to enjoy this tour with 10 miles of beautiful beach, feeling the breeze and listening to the waves of the Pacific Ocean. Round trip transportation, water bottles, snacks and a bilingual horseman guide.